This Forklift Operator job description template includes the list of most important Forklift Operator's duties and responsibilities. It is customizable and ready to post to job boards. Use it to save time, attract qualified candidates and hire best employees. 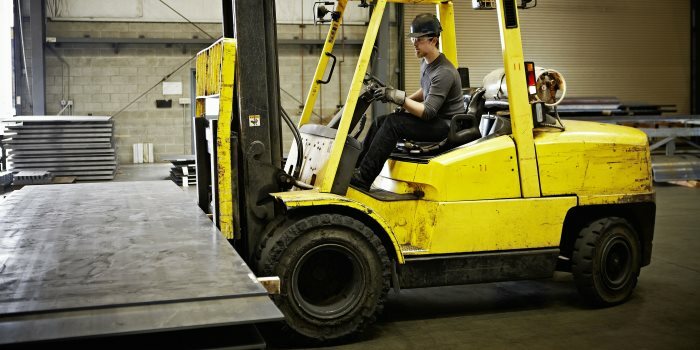 Forklift operators are responsible for operating and managing industrial trucks to load and unload materials and deliveries and move them to and from storage areas, machines and loading docks, into railroad cars or trucks or storage facilities. In order to attract Forklift Operator that best matches your needs, it is very important to write a clear and precise Forklift Operator job description. We are looking for an experienced and careful Forklift Operator to join our team! As a Forklift Operator, you will be operating a forklift while ensuring efficiency and safety. Use this Forklift Operator job description and post it to multiple job boards!